I realize that I am a wee bit behind the season on this one, but I found inspiration and I wanted to share it. Starting with this post on Angry Chicken, I follow the links to Hello Yarn. Hi, just stumbled across your blog and it's lovely. 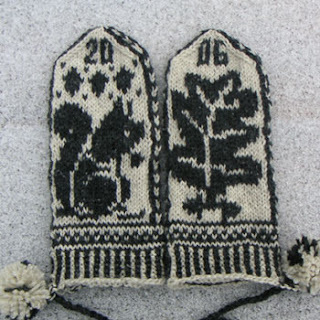 These mittens are very similar to a pair my in-laws brought me as a souvenir from Latvia - very folkloric, warm and beautiful. Good luck with your knitting, and keep up the great blogging.